VALDOSTA — Valdosta State University Theatre and Dance will put a modern spin on a classic fable when it presents “Tortoise vs. Hare 2: This Time It’s Personal!,” the 2018-2019 season’s Theatre for Young Audiences touring production. Public performances are scheduled for 7:30 p.m. on Friday, Feb. 8, and 10:30 a.m. on Saturday, Feb. 9, in Sawyer Theatre, located on the first floor of the VSU Fine Arts Building. The production is presented in one act with no intermission and lasts approximately 45 minutes. 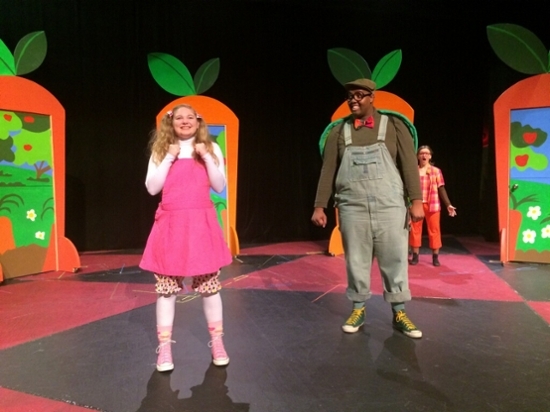 “Tortoise vs. Hare 2: This Time It’s Personal!” was written by Sean Abley and is directed by H. Duke Guthrie, professor of theatre and managing director of VSU's Peach State Summer Theatre. “The show teaches children the important lessons of working hard, doing your best, and practicing good sportsmanship, all while giving audiences a fun, whimsical experience,” Guthrie said. Following the public on-campus performances, VSU Theatre and Dance will kick off its Theatre for Young Audiences area tour, which typically includes 15 to 20 performances at schools, art centers, and more throughout South Georgia and North Florida. The goal of VSU’s annual Theatre for Young Audiences production is to expose children in the rural South to live theatrical performances. The touring productions are also an opportunity for VSU to share with the children the importance of post-secondary education. Theatre for Young Audiences productions are primarily geared toward boys and girls in kindergarten through fifth grade. All tickets for the public performances of “Tortoise vs. Hare 2: This Time It’s Personal!” are $10 each. VSU students are admitted free of charge with a valid 1Card. Tickets may be reserved by calling the VSU Theatre and Dance Box Office at (229) 333-5973 between the hours of 2 p.m. and 5 p.m. Monday through Saturday or by visiting www.ticketreturn.com 24 hours a day, seven days a week. The VSU Theatre and Dance Box Office is located on the first floor of the Fine Arts Building, at the intersection of Oak Street and Brookwood Drive. Contact H. Duke Guthrie at (229) 333-5307 or dguthrie@valdosta.edu to learn more.